Gorgeous card, Sylvie. Love those pretty flowers, and the colours are yummy! Sylvie - this is so pretty! Love the little banners! 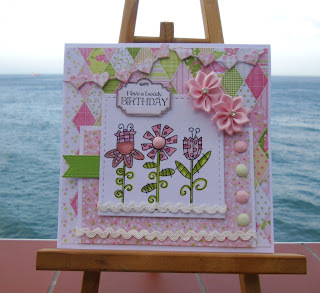 Very pretty card Sylvie, love the gorgeous design. This is gorgeous Sylvie. I love the image, pretty flowers and beautiful detailing. So pretty! I love the springy look and all the pink! Beautiful spring card - love those layers and the enamel dots! A great layout and lots of goodies on this little beauty. Love the colour combo - bright and beautiful!! At last bloglovin has accepted your blog and I'm back following. This is so pretty Sylvie - gorgeous papers and colours. I am delighted to say it has been so warm and sunny here today! When I got home from work I sat in the garden to have my meal and stayed there for two hours! Have waited a very long time to be able to do that again!! 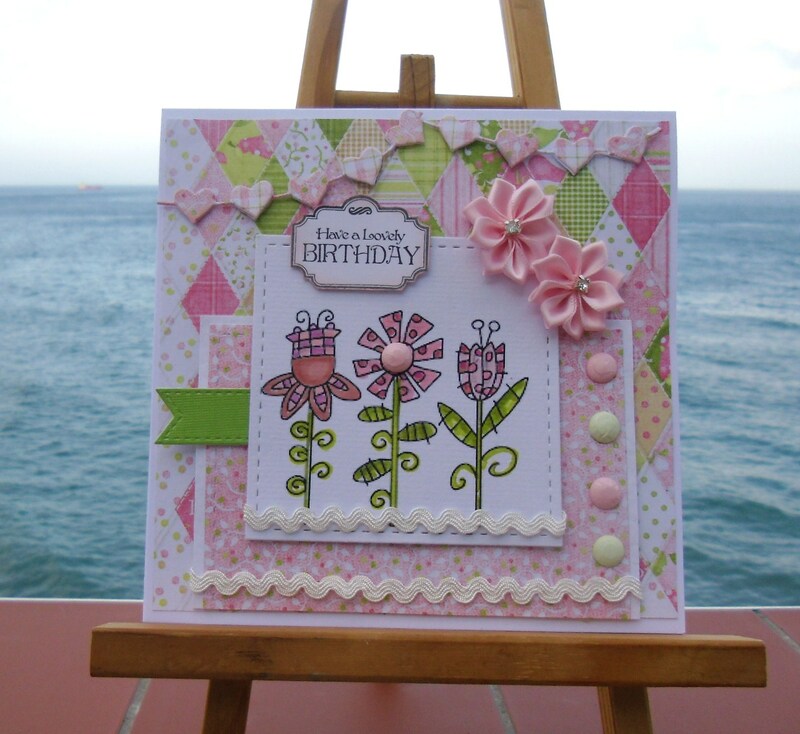 So so pretty, I just love your colours and papers and fab embellishments! Sylvie! I love, love this so much! Your banner is such a great touch. The colors are lovely, too! Just a wonderful make, Sylvie!! !